Patients with chronic obstructive pulmonary disease (COPD) who receive a flu vaccine are significantly less likely to be hospitalized with influenza. Patients with COPD who are hospitalized with the flu are more likely to face serious health consequences than those hospitalized for other acute respiratory infections. The new findings come from a study of more than 4100 patients with COPD whose flu vaccination status was known. It found that vaccinated patients in the cohort were 38% less likely to be hospitalized for the flu than their un-vaccinated counterparts. The data were collected from 46 Canadian hospitals over 4 winter seasons (2011-2015). The hospitals were part of the Canadian Immunization Research Network Serious Outcomes Surveillance Network. 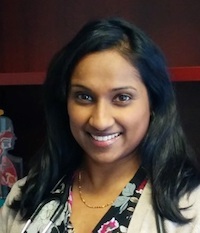 Sunita Mulpuru, MD, MSc, of the University of Ottawa’s Ottawa Hospital Research Institute, told MD Magazine® this study adds significant clarity to the health challenges faced by patients with COPD when it comes to the flu. “To our knowledge, our study is the largest and most recent prospective study in the COPD population that demonstrated a significant reduction in hospitalizations associated with influenza vaccination,” she said. Other research has shown vaccination lowers hospitalization rates in other groups, such as the elderly, but this was the first of its kind to quantify the impact of vaccination to hospitalizations and mortality. Within the study population, the crude mortality rate was 9.7% for patients with the flu, versus 7.9% for influenza-negative patients (P = .047). Patients with the flu also needed critical care and required mechanical ventilation at higher rates. Mulpuru said when patients with COPD get the flu, the disease can be exacerbated and cause symptoms such as increased cough and phlegm, shortness of breath, low oxygen levels, and weakness. “Patients with COPD (particularly those with severe disease) do not have a lot of reserve in their lungs to handle the consequence of the infection and the COPD flare up, and this is likely why their outcomes are worse,” she said. Despite the extra risk the flu can pose to patients with COPD, the study found just 66.5% of patients with COPD were vaccinated against the flu. That’s higher than the overall flu vaccination rates of the general populations in the US and Canada, but it nonetheless means one-third of people with COPD are left unprotected. Mulpuru said her study did not delve into the reasons why that vaccination gap existed, but she said the data give physicians a clear narrative about why the flu shot is important. Mulpuru said physicians might be able to increase uptake if they follow up regularly with patients with COPD during flu season, and if they have the flu shot immediately available in the clinic. The study, “Effectiveness of Influenza Vaccination on Hospitalizations and Risk Factors for Severe Outcomes in Hospitalized Patients With COPD,” was published last month in CHEST.